A goal by Kyle McDonald (18) in overtime secured the won for the Neepawa Farmers over the Minnedosa Bombers on Sunday, Nov. 4. It’s been a tremendous start to the Tiger Hills Hockey League (THHL) regular season for the Neepawa Farmers. 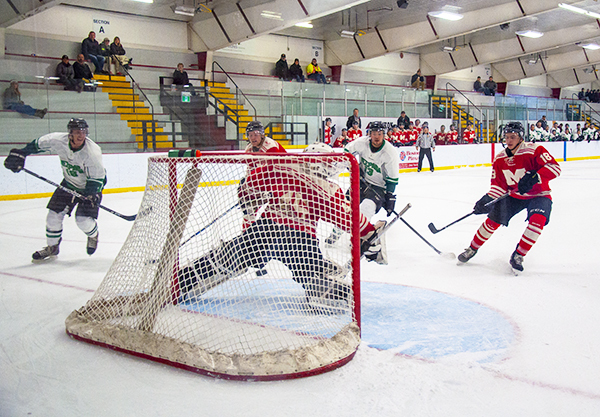 The club has won its first three games of the year, including a dramatic 4-3 overtime victory over the Minnedosa Bombers, at the Farmers’ home opener on Sunday, Nov. 4. 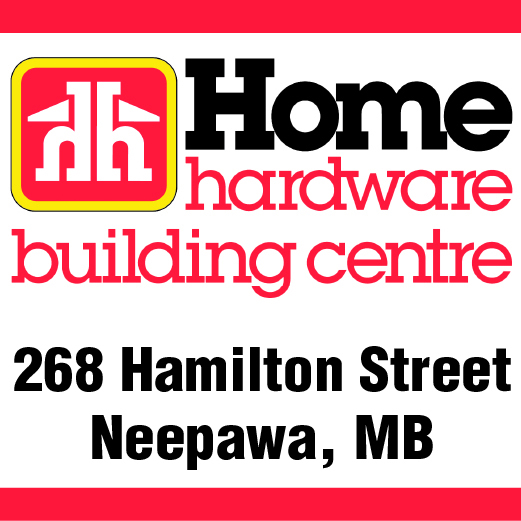 A pair of goals from forward Ben Rainka helped to power the Neepawa Area Collegiate Institute (NACI) Tigers to a 5-4 win over the Crocus Plainsmen on Saturday, Nov. 3. Tyler Gibson, Cody Lamb and Bryan Todoruk also scored for NACI, while goaltender Myle Brister picked up the win between the pipes. 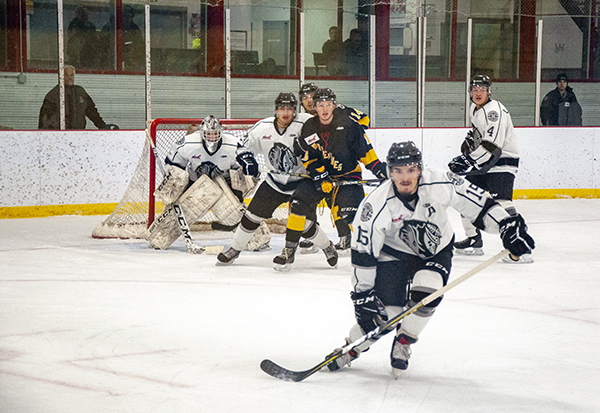 A solid sixty-plus minute effort out on the ice still wasn’t enough for the Neepawa Natives on Friday, Nov. 2, as they lost 4-3 to the Waywayseecappo Wolverines in a shootout. 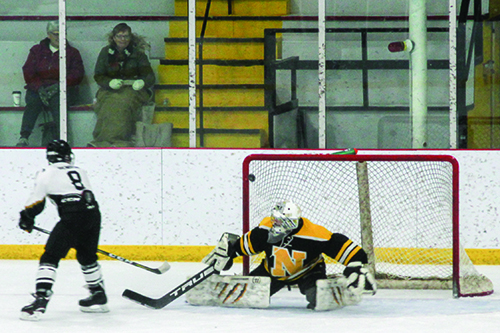 The NACI goaltender makes a big stop during the shootout against McCreary on Saturday, Oct. 27. 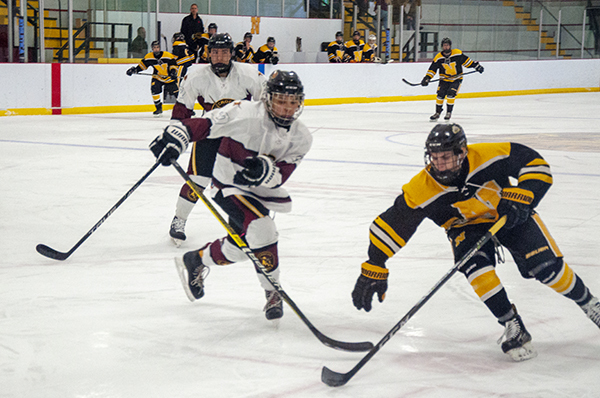 Rural Manitoba’s top rural high school hockey teams converged in Neepawa this past weekend for the annual NACI Slasher Showdown. 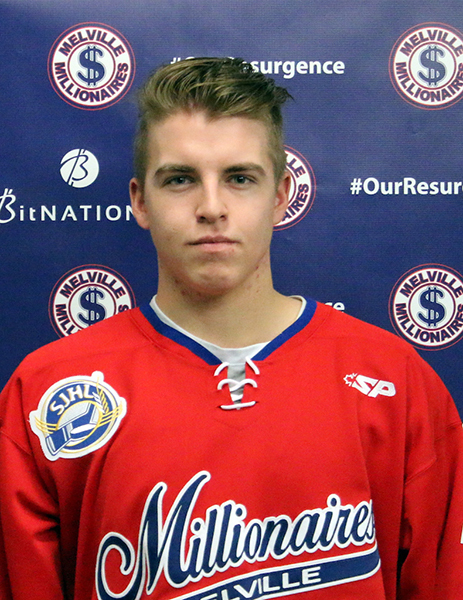 The Neepawa Natives have traded forward Jack Elliot to the Melville Millionaires in exchange for the CJHL player rights to forward Dayton Heino.